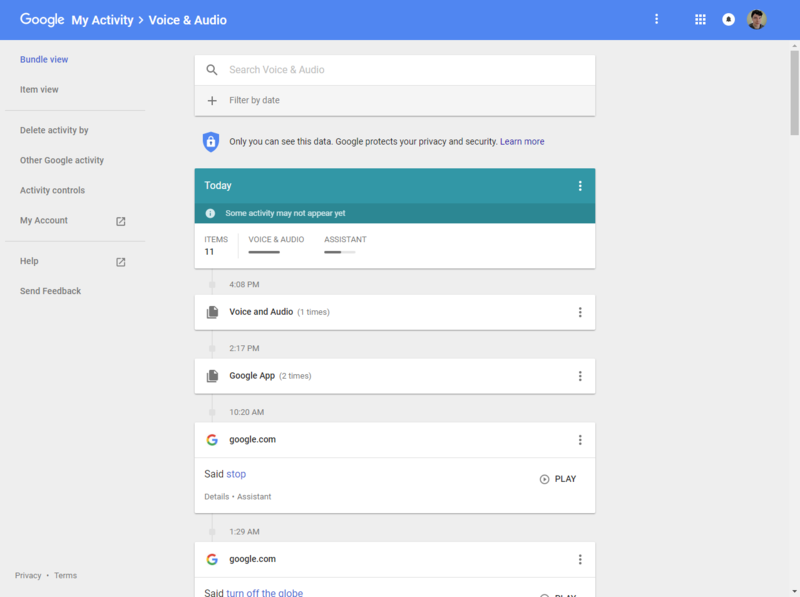 If you want to permanently delete these recordings, Google makes it easy to do so - if you know where to look. First, visit this page, where you'll see all the saved audio clips. Now, click the menu button on the top right and select 'Delete activity by.' You can also click 'Delete activity by' on the left menu. Once you're on the new page, change the date to 'All time' and select 'Assistant' from the product menu. Click the Delete button, then repeat the process, this time selecting 'Voice & Audio' from the product menu instead. Now your audio clips have been deleted! 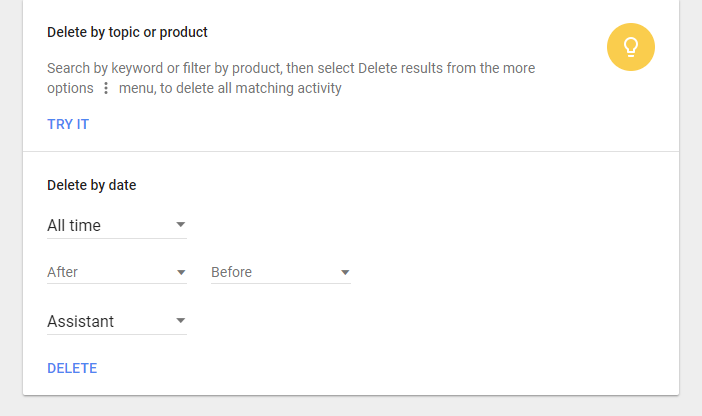 You can also change a setting in your Google account to prevent recordings from being saved in the future. It's even easier than the above steps - just visit this page and set 'Voice & Audio Activity' to off. 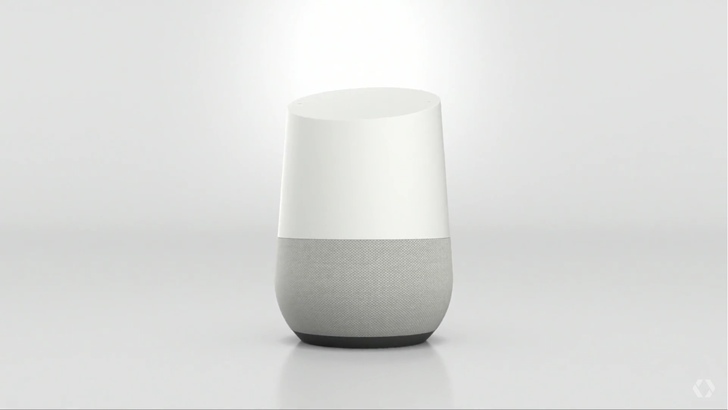 Keep in mind that Google Assistant and voice search won't work when you turn this off. 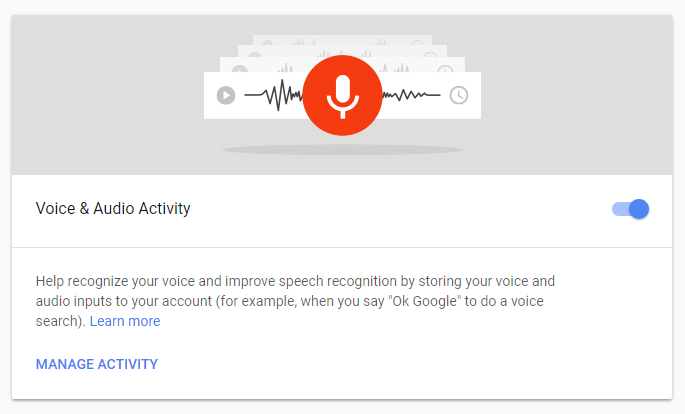 If you try to use a command, Google will prompt you to re-enable Voice & Audio Activity.